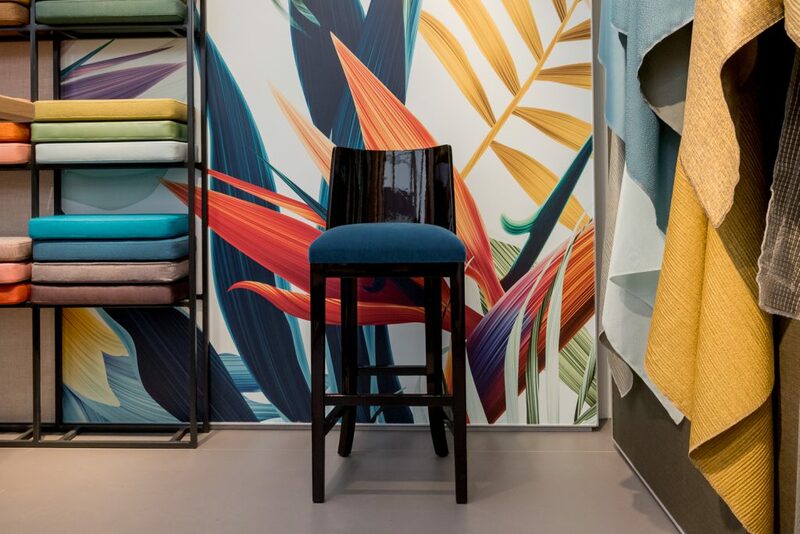 Working in collaboration with leading soft furnishings manufacturer Vescom, Littlefair London have created a bespoke version of our Eaton Barstool. It was featured on their exhibition stand for Decorex International this year, featuring the seat cushion upholstered in their striking blue Zanzibar mohair. The Eaton Barstool is in stock now.